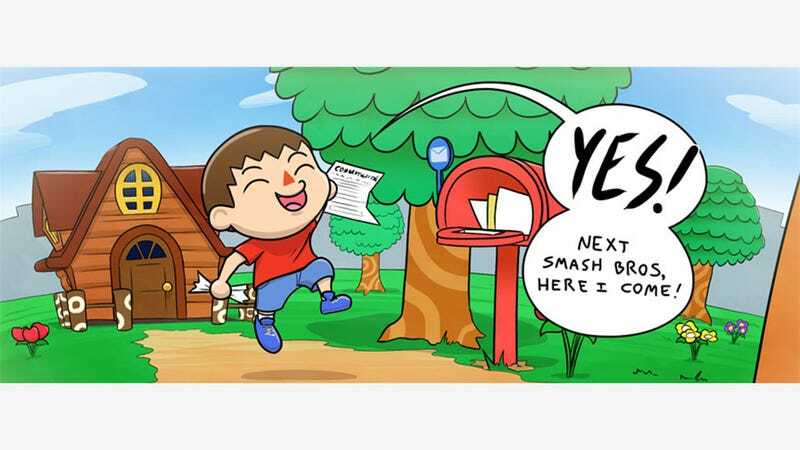 After the PS4 beatdown, the next-biggest thing amongst internet gif makers last week was the announcement of the Animal Crossing villager for the new Smash Bros. game. He was portrayed as everything from a psycho to a...psycho, something which may have made you laugh, but did anyone think of his feelings? He's just a kid, working hard to pay off his mortgage, sending letters to his mum, and you turned him into a monster.